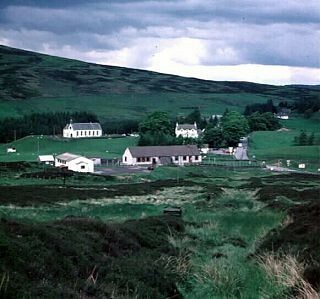 A tiny and rather forsaken hamlet midway between Aberfeldy and Crieff. However, the drive from Kenmore to Amulree across bleak plateau is the best way to travel south. For those with their own transport, one of the most scenic routes in this part of the country is the spectacular road which winds its way south from Kenmore high up into the mountains, across a bleak and barren plateau and down the other side to the tiny hamlet of Amulree. This road is often closed in the winter and there are gates at either end. 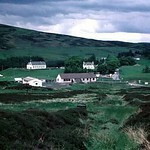 From Amulree you can continue south to Crieff, through the gentler, but equally stunning scenery of the Sma' Glen. Alternatively, you could head north to Aberfeldy and then complete the circuit back to Kenmore. You can stay in either Kenmore or Aberfeldy - see Aberfeldy Hotels or Hotels in Kenmore ).